Islamabad: Russian Special Representative on Afghanistan, Ambassador Zamir Kabulov on Tuesday appreciated close coordination and regular engagements on regional issues and Afghan peace process, and said Russia and Pakistan were important stakeholders in peace and stability in Afghanistan. “It was in the shared interest of both the countries to support all efforts for peace and stability in the country through close coordination,” Kabulov said in his meeting with Foreign Minister Shah Mehmood Qureshi at the Ministry of Foreign Affairs, Islamabad, the foreign office said. He also held in-depth consultations with the Foreign Secretary on regional political situation and Afghan peace process, a statement said. The Russian envoy greatly appreciated Pakistan’s role as a facilitator in the Afghan peace process. The two sides agreed to continue regular consultations on Afghan peace process and support regional initiatives to bring lasting peace in Afghanistan and the region, the statement said. 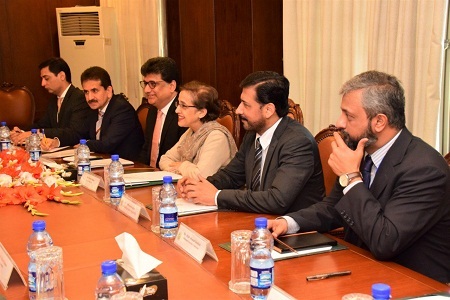 Foreign Minister Qureshi appreciated the growing international consensus on the need to settle the decades old conflict through political process. Underscoring the importance of peace and stability in Afghanistan, Foreign Minister Qureshi stated that Pakistan is facilitating the ongoing talks between the US and the Taliban as a shared responsibility and in good faith. He hoped that the talks will result in an intra-Afghan dialogue leading to lasting peace in the country. Highlighting the role of neighbors and the regional countries in the peace process, the Foreign Minister lauded the important contributions Russia had made in the Afghan peace process including through Moscow Format of Consultations.